It feels a little silly to post something of my own as a find, but I'm doing it anyway since I know some people here were interested in it. 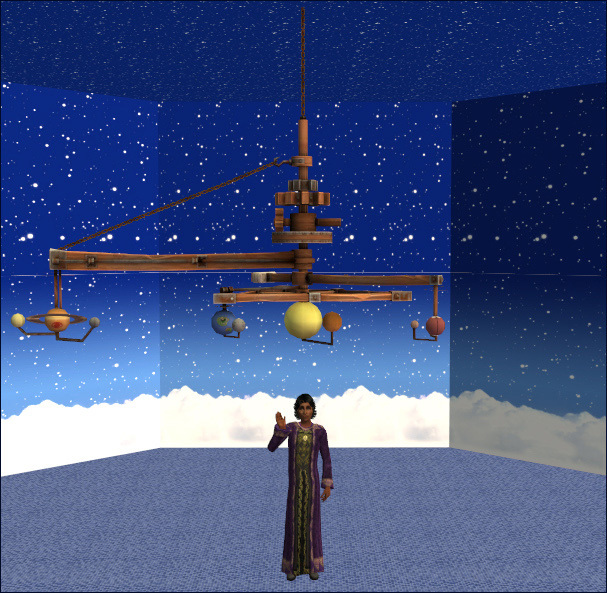 Long story short, I finished animating the TSM orrery. It's not for the cramped of space, though; it's a two-floor thing with a huge footprint (but it really needed to be that big to keep the arms from cutting through the ceiling). 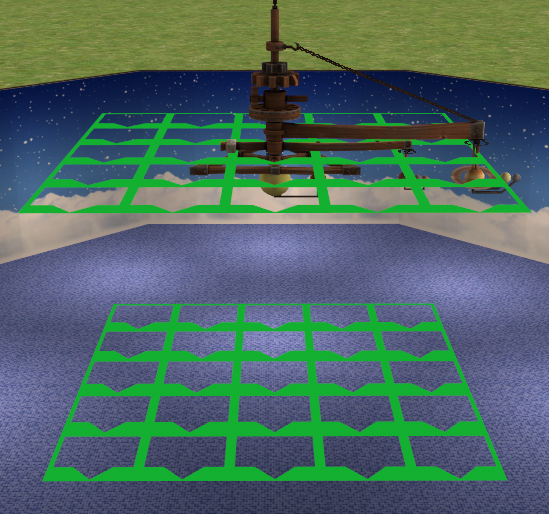 Sims gain science enthusiasm when viewing it, since that made more sense to me than art. 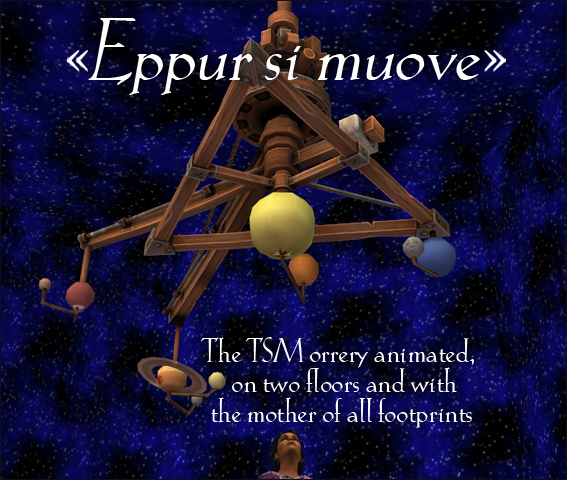 "Eppur si muove" means "and yet it moves," and is a phrase Galileo is said to have uttered after the Inquisition had forced him to recant that the Earth moved around the Sun. I think he would have liked this. There are no words to say that expresses just how happy this makes me! Hee, thank you! @celebkiriedhel, yeah, I had a feeling you'd like this.